Fast Dissipating formula specially for W-715 Fog Jet, the Z-1520RGB and most any other fog machine where an extremely fast dissipating fog is necessary. 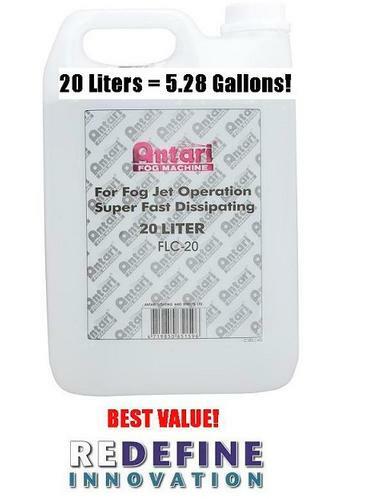 Antari® Fog liquids are optimized for use with all Antari® fog machines and are suitable for use in most other brands where a Premium fluid is desired. Fluids are formulated to increase the longevity of any fog machine. 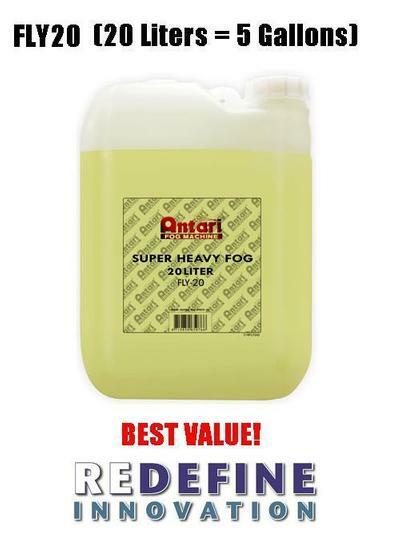 Antari® Fog Liquid is a water-based composition that leaves absolutely no oily residue. FLC is odorless, non-irritating, non-toxic, and non-flammable. Manufactured with DE-IONIZED - Pure Water containing absolutely no impurities prolonging the life of your machine. Simple filtration processes or claims of "triple filtered water" does not remove the impurities and metal content of water, reverse osmosis and deionization is the only true water purification. 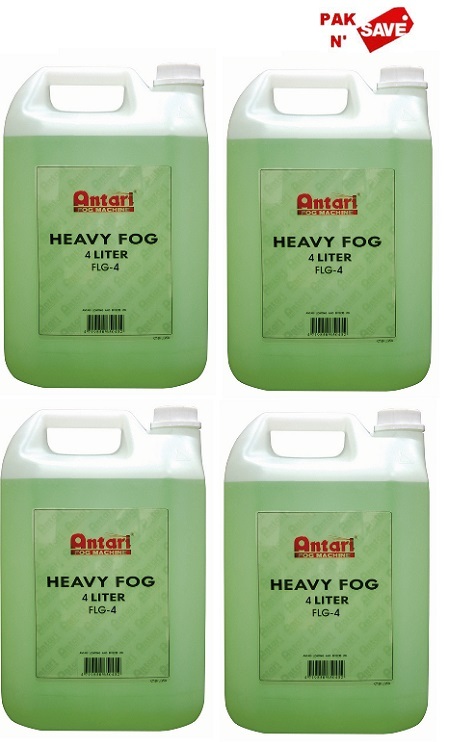 The Antari® fog liquids are eco-friendly and safe for human contact.